Yes, I want to be a DRM Ninja! 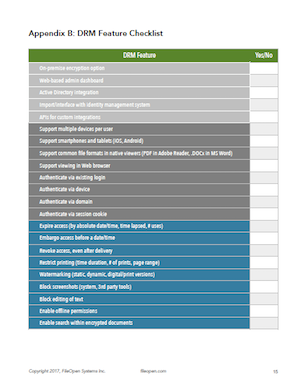 What is the difference between data security and document rights management? How can you support users on mobile devices without risking leaks or piracy? 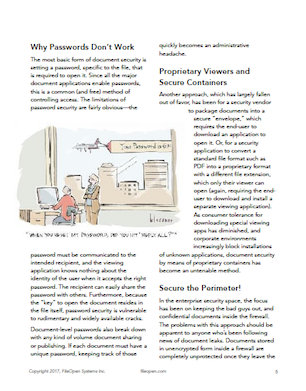 Is it possible to have strong security without annoying your end-users? 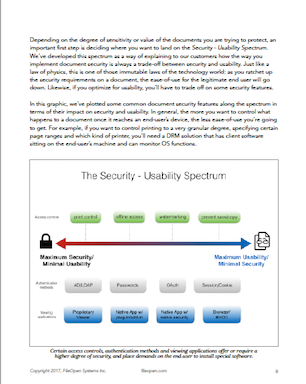 In this engaging 15-page e-book, you'll learn why passwords don't work as true document security, how to approach the tradeoff between security and usability in the Security-Usability Spectrum, and what to look for in rights management solutions with our DRM Feature Checklist. 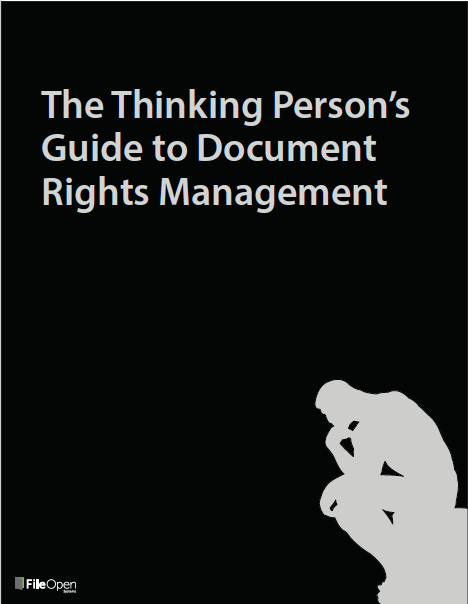 Written in plain English for the decision-makers in your organization, "The Thinking Person's Guide to Document Rights Management" is a thought-provoking primer in document security and protection. Yes, I want to be a Thinking Person Too! © 2018, FileOpen Systems Inc.